I have got new laptop from my grandfather. 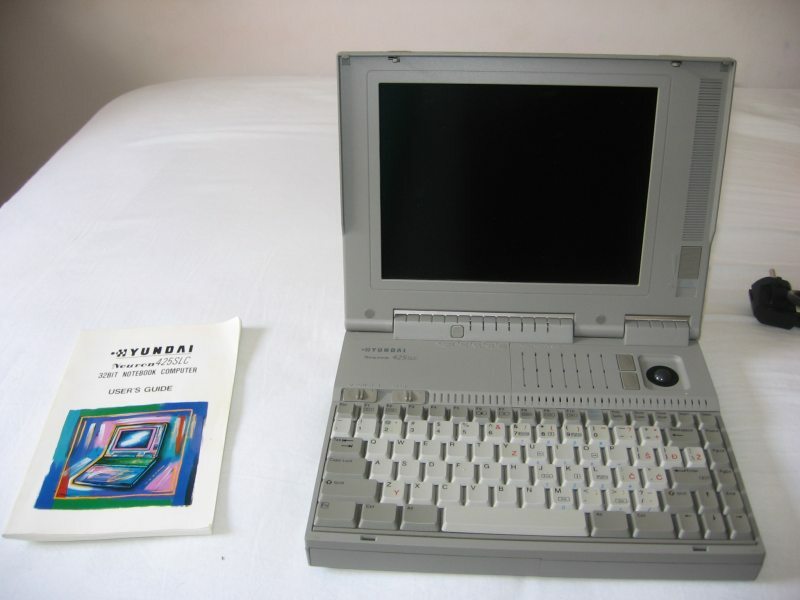 It has 60 MB harddisk and 3 MB of RAM. It's Hyundai Neuron with black & white screen. I am now trying to put Linux on it. But all installations untill now are failed. I tried with Mulinux and it has booted, but after framebuffer nothing more happened. I tried with Smallinux but after loading of kernel some strange characters started floating on the screen. Seems like my laptop would like to play in Matrix movie. Now I have tried with ELKS, and I got to the login prompt, but the password and username is uknown to me. If I don't manage to install Linux I will try with something other, like OS/2, BSD. Anythink that can run VIM. 🙂 Any suggestions? Hello, could you send to my e-mail (m6n8@yahoo.com) the scans (or PDF) of the user’s guide?, I need it badly. I’m from Argentina and i can’t get a copy of this manual, Thanks.